Lassa fever first flared across Nigeria in February 2018, 1081 cases reported in just six weeks, according to the Nigeria Centre for Disease Control; 57 people, including four healthcare workers, died. As Lassa cases continued to spike throughout the year, it sparked fears of a new form of the virus or path of transmission. The fear for scientists and health professionals at the time was that the virus had mutated into a deadlier strain, perhaps one that can be passed through the air, like the flu. Such a change could be catastrophic. Genetic sequencing of Lassa virus genomes taken from patients revealed the virus was neither a dangerous new strain nor being passed from person to person through the air; the multifarious results, published in The New England Journal of Medicine, pointed to a diverse range of Lassa viruses which had previously been seen in Nigeria, ruling out a new form, and it was determined that the increase had not been caused by a mutation or new route in transmission. The cases continue to spike this year; from Jan. 1 to Feb. 10. The World Health Organization reported 324 confirmed cases and 72 deaths across Nigeria, the majority of them in Edo and Ondo states in Nigeria’s south. Fatalities are hovering around 20%, which is high for Lassa, and while the virus is not a mutant—the worst-case scenario—the reason for the dramatic rise remains a mystery. On Jan. 22, the Nigeria Centre for Disease Control declared the outbreak an emergency. Lassa fever is a viral hemorrhagic fever similar to Ebola, but less lethal. Mortality rates for confirmed cases between Jan. 1 and Mar. 17 this year is 23%. The virus is zoonotic, meaning it jumps from an animal reservoir to a human being; the most common reservoir of Lassa is the multimammate rat. Humans usually become infected through contact with the rat’s urine or feces. In non-fatal cases, the virus usually causes mild symptoms—including fever, headache, and weakness—and often goes undiagnosed. While Lassa is a viral hemorrhagic fever, the bleeding famously associated with a small percentage of Ebola cases is extremely rare. Scientists use genetic sequencing to determine the order of the four chemical building blocks which make up DNA. This order tells them what kind of information is coded into that DNA, as well as what type of virus it is. While the assays used to test the virus’ genomic sequence were not new, the speed with which the information was analyzed and put to action—and where it was performed—was new. 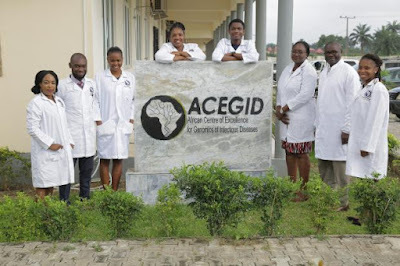 Years of partnership and preparation between the African Center of Excellence for Genomics of Infectious Disease (ACEGID), the Irrua Specialist Teaching Hospital in southern Nigeria, and the Cambridge, Massachusetts-based Broad Institute ensured the samples were rapidly sequenced in Nigeria by local labs. This response, marked by cooperation and in-country capability, may be the model for the years ahead, as scientists from both Broad in the US and Nigeria believe the chances are high of emerging virus outbreaks occurring more frequently. The test results identified the subtypes of Lassa fever causing the infections, and where in the country they were. That information was quickly made available to health officials at the Nigeria Centre for Disease Control for use in determining the best course of action for handling the outbreak with a speed that would not have been possible if it had to have been tested overseas. “That is very important, because that has immediate implications in terms of countermeasures to block it,” says Christian Happi, centre director and principal investigator at ACEGID. Genomic analysis has often been reactive, completed long after an outbreak had run its course. “With the improvement of technique and also greater collaboration between partners we’re able to have these results in real-time to influence the actual control of the outbreak that we are managing,” says Chikwe Ihekweazu, director general of the NCDC. Analysis from end to end was done on the ground in Nigeria, according to Happi. Scientists at Irrua Specialist Teaching Hospital sent confirmed samples to ACEGID, at Redeemer’s University, Ede, Osun state, Nigeria. ACEGID teams extracted the virus’ RNA, converted it to DNA, then broke it into component parts, reassembling a complete genome of the virus that could be compared to sequenced viruses from previous cases. The process took about three to four days per sample. Results from the ACEGID sequencing were sent to the NCDC when they were considered actionable. The results were cross-checked at Broad, while both institutions then continued to test the samples to provide a larger data set, replicating sets of each other’s samples for consistency, Siddle says. “As we got the result, we shared the report with the NCDC, and they swung into action,” says Happi. Putting the people, infrastructure, and capability required for rapid analysis on firm footing took roughly five years. The collaboration between the labs of Broad Institute member Pardis Sabeti, Happi’s lab at Redeemer’s University, and scientists at Irrua laid the groundwork for the 2018 Lassa response. The Lassa fever outbreak provided a first chance to demonstrate that vision. Scientists and health officials believe outbreaks of emerging viruses like Lassa, Ebola, Marburg and Nipah are likely going to increase in the future. As human expansion and climate change shifts the boundaries between people and animals, forcing them closer together than ever before, the chance for zoonotic viruses to jump species increases. Nations where these viruses are endemic or where completely novel ones are likely to emerge can take cues from Nigeria’s model. The ability to handle an outbreak within their own borders may prove the difference that prevents a pandemic. The in-country model makes sense from both scientific and practical standpoints, says Siddle. Building the infrastructure required to control an outbreak in the midst of one is challenging in and of itself; when outbreaks occur in regions destabilized by violence—as Ebola currently is in the Democratic Republic of Congo—even more so. The speed with which information can be analyzed and provided to health officials, much faster when handled in-country, is crucial; the virus is not awaiting samples from overseas. Improvements in one country’s capabilities may have an impact far beyond their borders. A nation which can contain outbreaks quickly, accurately, and in-country is better positioned to curtail a pandemic.